Most of us would have come across ‘UI’ and ‘UX’ and wondered what they actually meant. In today’s world both UI and UX are being used more than ever! Both these are design terms that have been around since many years. Here’s what you all need to know about UI and UX! UI is basically a tool that customers use to communicate with a website or other digital products. It is a set of commands or menus including the icons, buttons, toolbars and other controls, through which users navigate, make selections and input data. 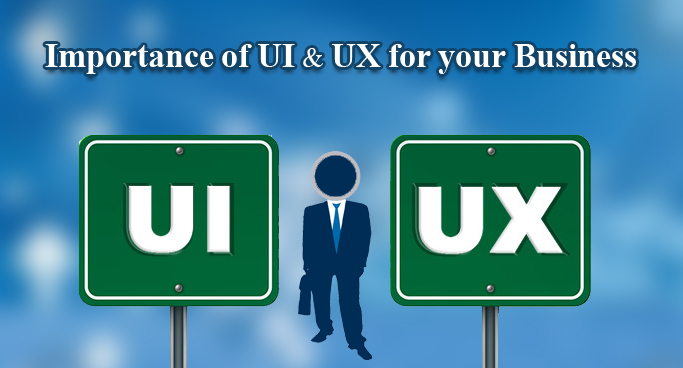 UX encompasses all the aspects of end-users’ interaction with the websites or company’s offerings. It refers to how well users interact with a company’s app, site or other digital products. UI and UX are some of the most confused terms in the design field and are often used interchangeably. UI is quoted as referring to the aggregation of approaches and elements that allow the users to interact with a system. UX is a broader term, which includes UI but is not limited to UI. UI doesn’t address to how users interact with the company’s offering; UX covers this. UX includes much more than UI as it is not possible to create a good UX by just putting menus and button in an app or website. To deliver a good user experience to the customers, it is essential to integrate aspects like shapes, language, motions, controls, task flows, physical interactions and more. UX design thus improves the quality of users’ interactions with companies’ apps or sites; making them flow intuitively. Through a good UI & UX design, you can win the confidence of your customers. The more they will be happy, the more they will come to you to buy your products or services. If the users or visitors are not able to quickly grasp how to use your application or interact with your website, they will leave it behind! The aim of UI & UX is to present an optimized design to customers and allow them to navigate through the application as well as websites as quickly as possible. Your customers will be dissatisfied if your site is untidy, chaotic and difficult to navigate. They will be driven to your competitors instead. Not only it is important for an eCommerce business to give a good browsing experience to visitors but also make the purchasing of products easier and faster. If you are a start-up or a small business struggling to get brand recognition, UI & UX becomes even more vital because you will be able to attract customers through the quality of your application and website. Customers should get an enduring first impression of your business! The attention span of a visitor is very short, within that short time span you need to grab their attention and keep hold of it. A good UI & UX ensures customer loyalty. Your clients will return back to you to buy your products or services. In this competitive environment, you need to differentiate your products or services from your competitors. Innovative features and attractive design of your application will help you to move forward in this fast-paced, mobile world. Your website or app represents your brand. It will help you to establish your brand in the market. It is therefore essential for you to have a clean, simple, attractive and intuitive UI, giving an enticing user experience. Businesses are realizing the importance of UI & UX design for getting long term success. UI & UX will deliver measurable results in the form of more sales conversions, increased frequency of visitors and downloads and a better bottom line! Therefore investing in a well-designed and intuitive UI and allowing users to have a positive UX will positively impact your brand! Semaphore Software is a world-class web design & development company, specializing in Responsive web design and HTML 5 & CSS3 development. Our team is highly efficient in delivering top-notch, custom web solutions by focusing on UI & UX design, helping businesses enhance their ROI! Contact us through info@semaphore-software.com for any of your design & development needs! !